It arrived safely without any problem. It was just right size for the living room beams. I am satisfied with high quality finish. Also, a guide for installing each island was enclosed and was helpful. I would like to purchase again if I have the opportunity. MAHALO! Beautiful and perfect!! Josh is very professional and accommodating. My custom order is exactly what I asked for. And the template made hanging the islands super easy. A unique and rare find. The island chain arrived the other day; it’s gorgeous! Your attention to detail is amazing! Islands look great, can’t wait to get them on the wall! Josh was very easy to work with: responsive, flexible, and informative. All that, plus high quality work, delivered on time. Big Island Grown Koa and Mango. Bonded Copper, Iron, Bronze, and Aluminum. A Time Honored Symbol of the Hawaiian Islands. 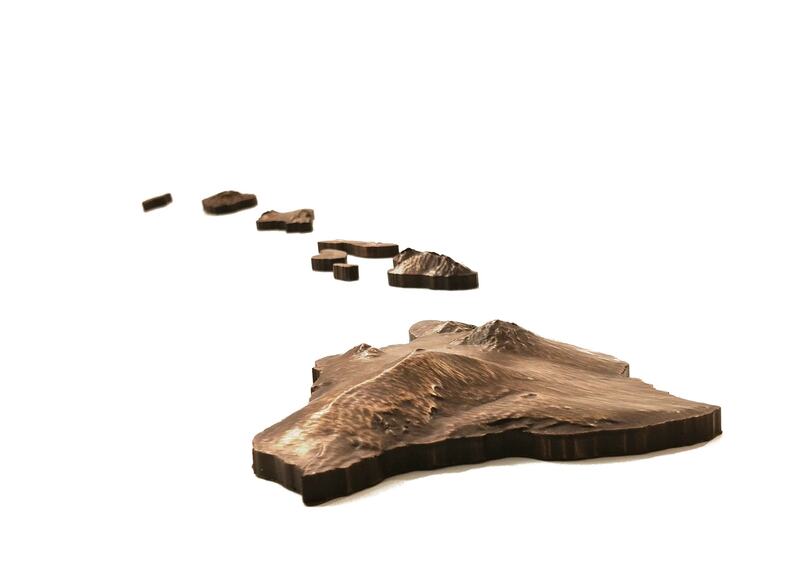 Our Hawaii Island chains feature all 8 major islands and regardless of your material choice–it will be a detailed and exquisite centerpiece for your home. 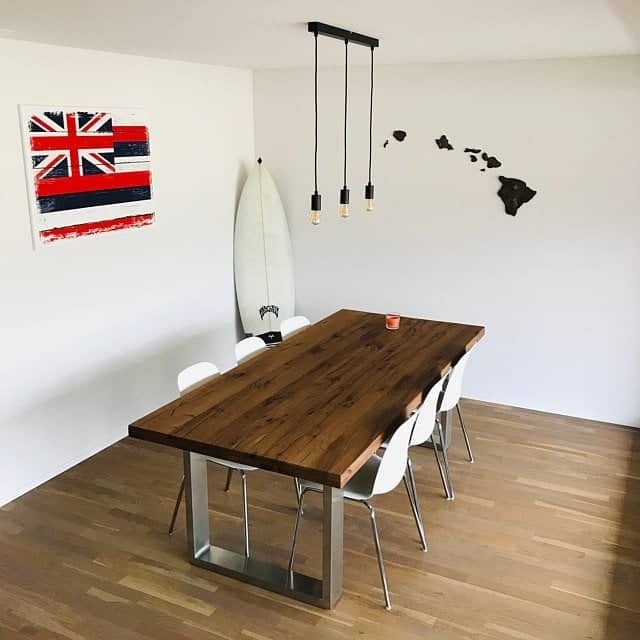 Each Hawai’i island individually hangs with ease using an included template, instructions, and hanging hardware–for wood and drywall. How easy? Check out our online hanging instructions if in doubt! The Hawaiian island chain is known for its exciting tourist destinations, gorgeous beaches, and incredible biodiversity. In fact, most (if not all) visitors to these islands become spellbound by their beauty and simplicity. 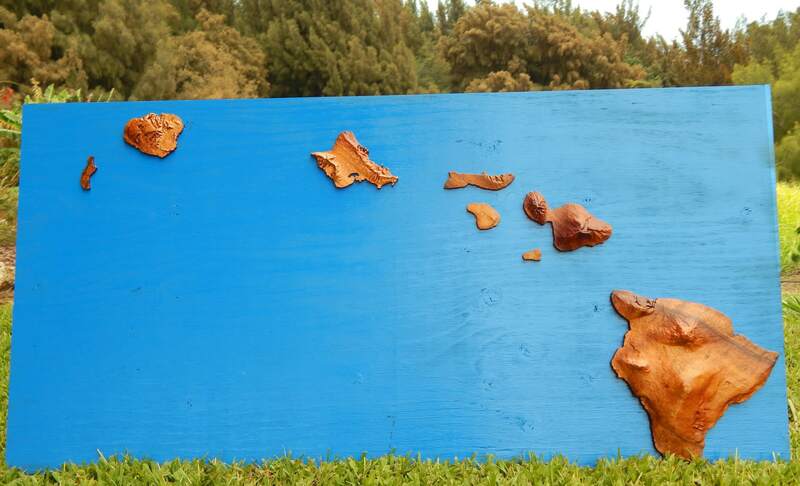 Artwork representing the archipelago is therefore plentiful, from the tasteful koa wood carving to the less tasteful mass-produced fridge magnet. The work created and sold here is made from Koa wood, a type of wood that is endemic to the Hawaiian Islands; along with select hardwoods such as Mango wood and rich clad metals. 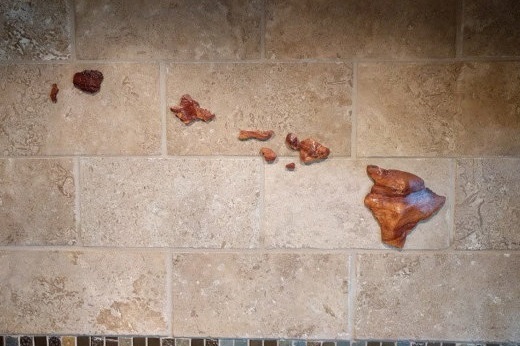 I take this wood and make it into beautiful wood artwork that represent the Hawaiian Island Chain. 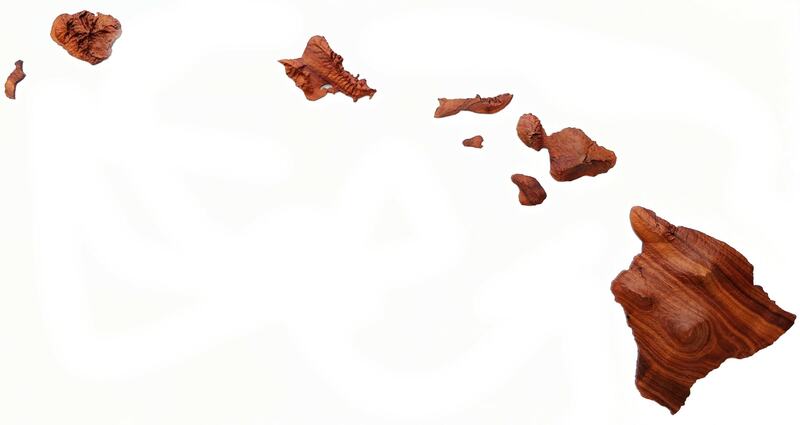 For those favoring a different aesthetic bronze, copper, and iron clad Hawaiian islands are offered. 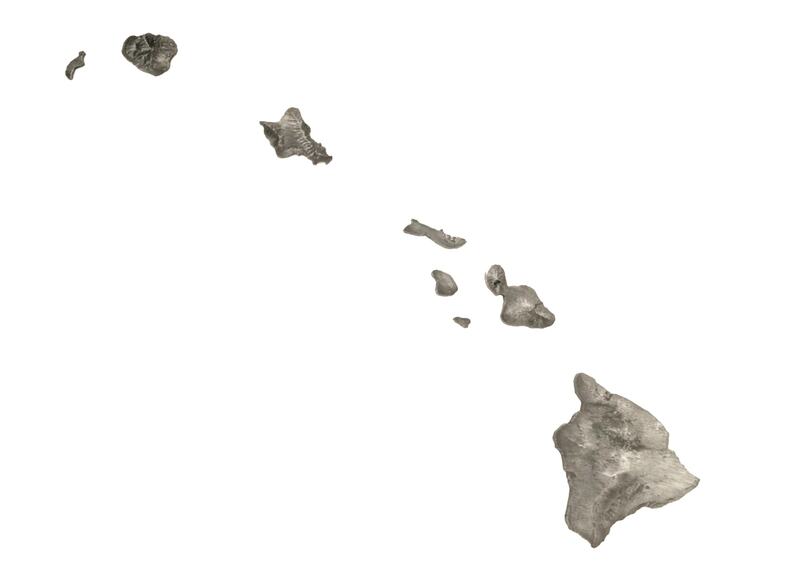 No detail is spared either: Hawai’i, Maui, O’ahu,Kaua’i, Molokaʻi, Lānaʻi, Niʻihau, and Kahoʻolawe are all part of my Hawaiian island chains. 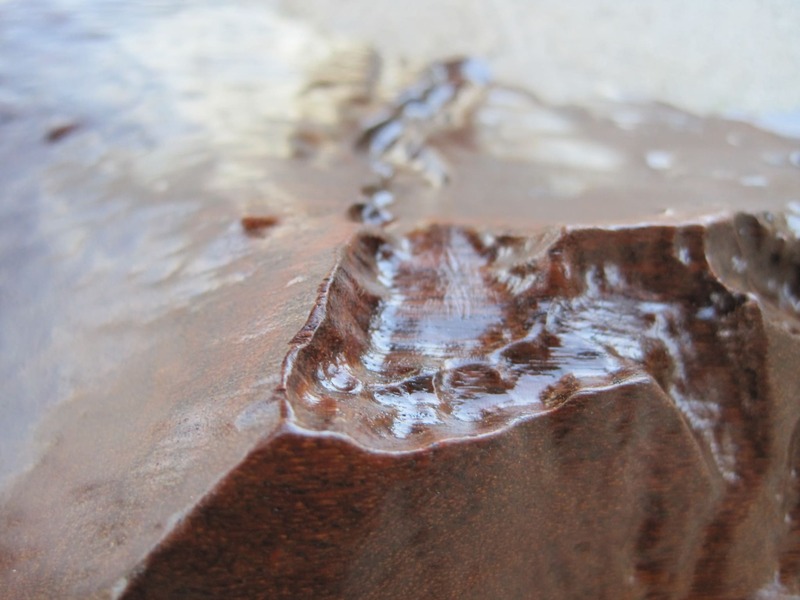 I ensure that they are finely carved and hand finished to get as close to a representation of real life as possible. I take great pride in the Koa wood art that I create, as it is my aim for you to be proud enough to showcase these custom made island chains in a place that is important to you. 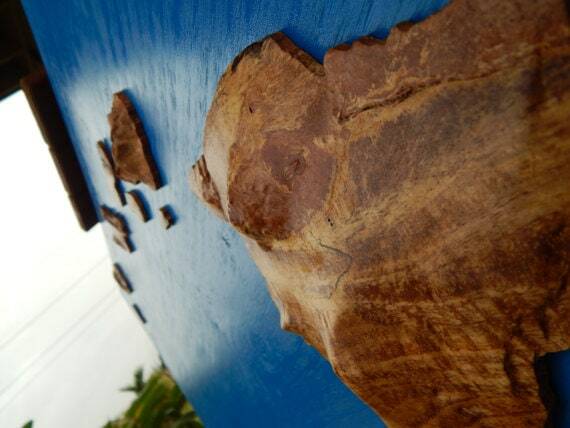 For many, taking a piece of Koa wall art home means taking a piece of the islands with them. Casual tourists who come for the sandy beaches and upscale resorts want something authentic to remember their stay by. Backpackers and hikers want to relish in the memories of the islands’ many waterfalls and diverse forests. 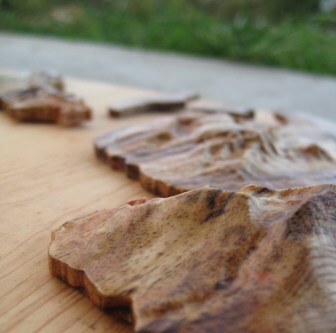 Locals simply want a visual reminder of how great their home is, its beauty immortalized in a piece of Koa wood décor. and I take great lengths to make sure that I capture the stunning natural simplicity of these islands. Koa isn’t the only type of wood that I work with, however. or any wood of your choosing is hand selected to capitalize on each piece’s natural beauty. Capturing the essence of these islands means properly selecting the natural resources with which to do so. After all, it would be a disservice to their beauty if these wooden art pieces were created with something like particle board. 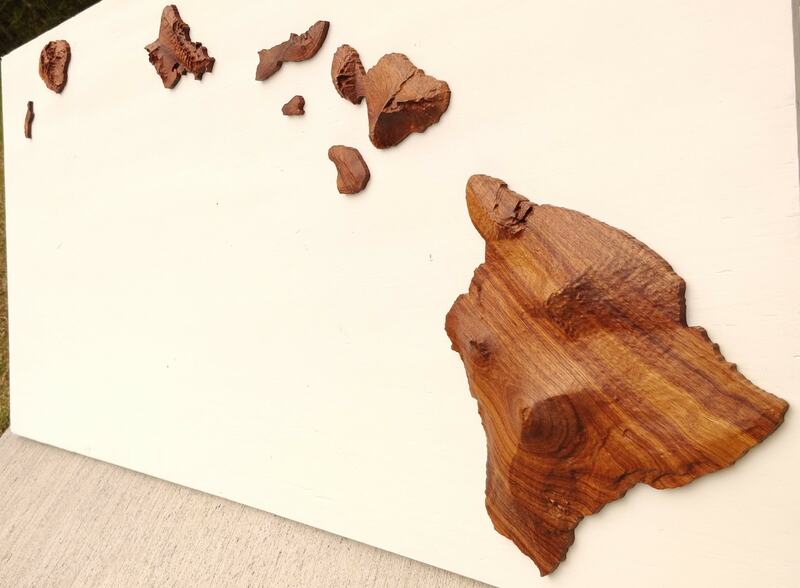 Own a piece of the Aina and capture the essence of the islands with a finely crafted Koa wood sculpture. 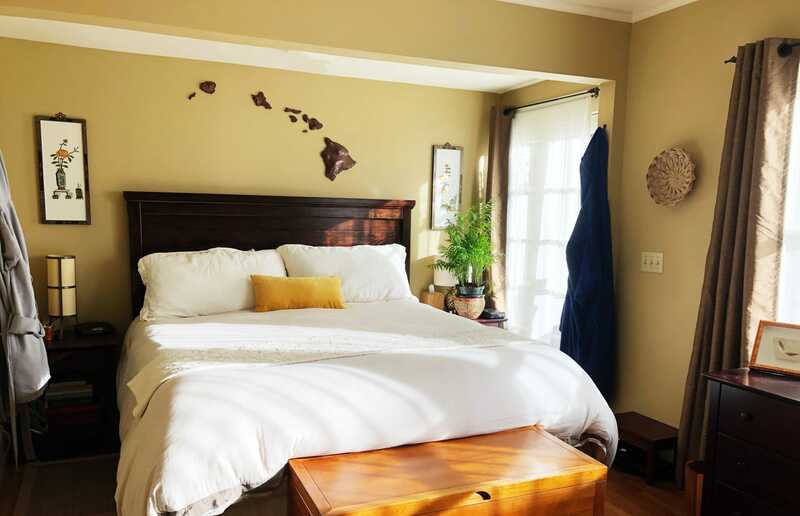 The natural warmth of Koa and Mango wood is hard to beat–with accuracy, excellent finish quality, and hundreds of satisfied customers you can see why this website is all about Hawaiian Island Chains. 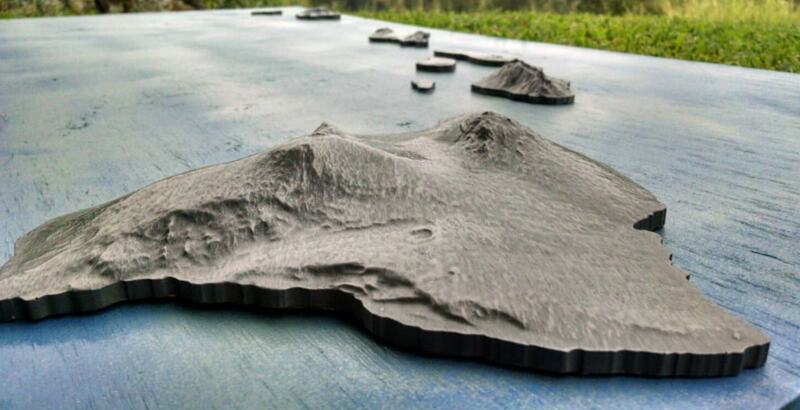 Hawai’i is a unique part of this world and a hallmark place where millions of memories are made. 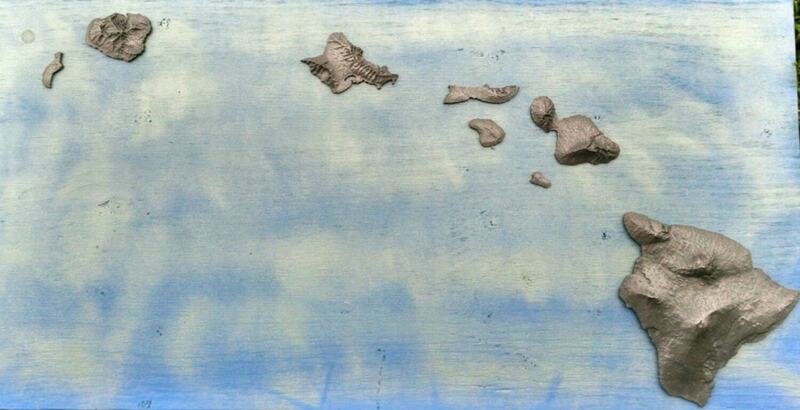 Capture a piece of the Hawaiian Island today and do so with an Island Chain! Made a father happy today! Looks awesome. Can’t wait to hang them in our new home.